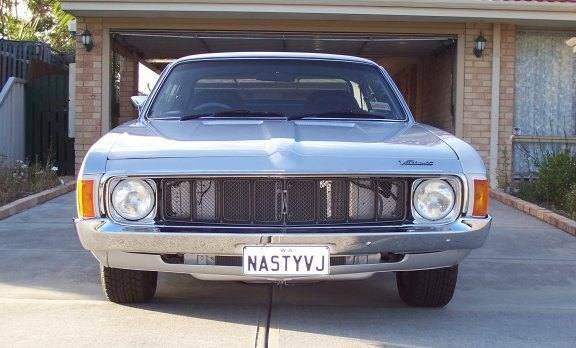 May of 1973 saw the introduction of the next model in the new All-Australian designed Valiant - The 'VJ'. 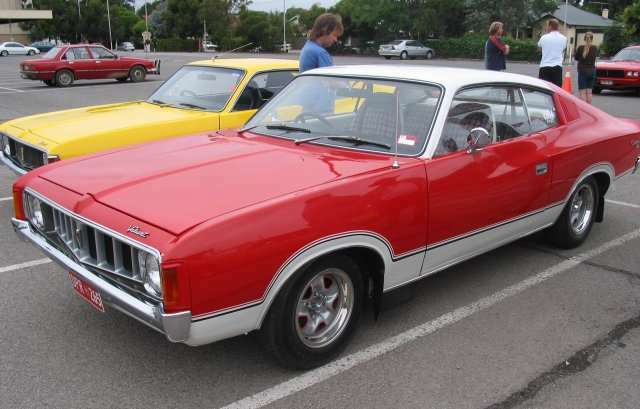 Although essentially a facelifted version of the VH Valiant before it, the VJ's subtle changes made enough of an impact on the buying public to make it the biggest selling Valiant model of all, with 90,865 units being sold! Externally the VJ Valiant continued on the with the new body style, however the rectangular headlights from the VG/VH series were now gone and the VJ reverted back to the classic 7 inch round headlight assemblies, and with them some slightly different front sheetmetal to accomodate the new lights. Also gone was the horizontal grille treatment of VG/VH models, and a more bold grille featuring which looked like 8 individual sections now found it`s place between the headlights. The sedans received new taillights that were more horizontal with similar dimensions (but different appearance) to the Charger taillights. The Charger and wagons carried the same taillights as the VH series. Although the physical changes were few, many other new features were introduced in the VJ Valiant range, such as electronic ignition, rustproofing and floor mounted shifters as standard features. 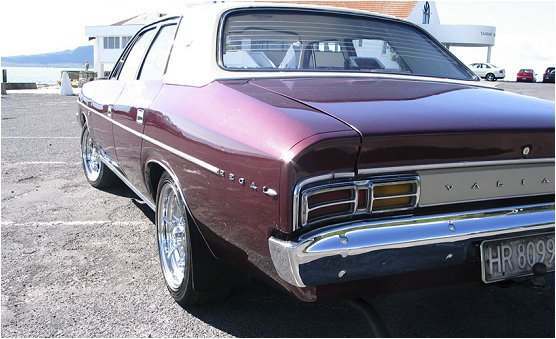 Chrysler added to that in July 1974 with front disc brakes, door reflectors, lockable glovebox and retractable seatbelts all as standard features. While the VJ range still offered sedan, wagon, ute, Hardtop and of course Charger variants, there were no more 'R/T' Chargers or Pacers. The E48 6Pack Charger was still available (basically a 6pack E37 in specification) and as many as 6 VJ E49's did get produced early in the 73 model run. Interestingly the E55 chargers were still available. 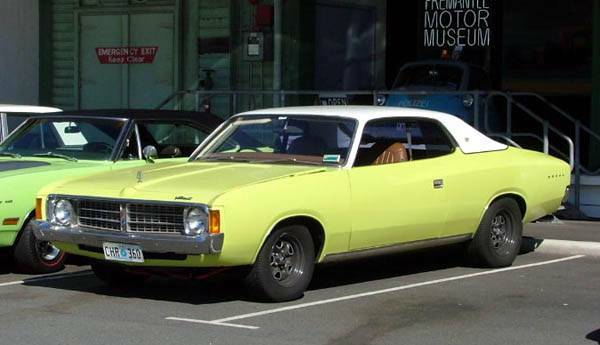 In August 1974 a special run of 500 Sportsman Chargers were released. They were only available in vintage red with a thick white stripe along the lower coachline and the roof was also white. These had the red and white plaid cloth seats (very loud!) and a 265 4 speed combo to power the whole deal. Corrections, additions or feedback - feel free to contact us.